Tool (1990-present) is a Metalcore band from Hollywood, California, USA. ool was founded in 1990 by Adam Jones (guitar), Maynard James Keenan (vocals), Paul D'Amour (bass) and Danny Carey (drums) and debuted in 1992 with a mini set titled Opiate on the indie 'Zoo' label. The album showcased their nihilistic "nu-metal" for all it was worth. But it was with the support of Henry Rollins on their debut full set with Undertow (1993) getting them a US 50 that got them notice. After extensive touring they reappeared in 1996 with Aenima going straight to US #2, surprising many and catching those who had not acquired a taste for Tool completely off guard. Aenima also saw Justin Chancellor replace D'Armour. After a two year legal battle with 'Freeworld Entertainment' that saw them settling with a joint publishing deal, the band took a break. In the interim Keenan joined forces with Billy Howerdel (guitar/keyboards), Paz Lenchantin (bass), Troy Van Leeuwen (ex-Failure/ex-Enemy; guitar) and Josh Freese (ex-Vandals/ex-Guns N' Roses; drums) to publish Mer De Noms (2000) under the joint name A Perfect Circle. The platter continued right along where Tool left off, except for incorporating more gothic overtones and surprisingly managed a 4 US, and their first UK hit at 55. 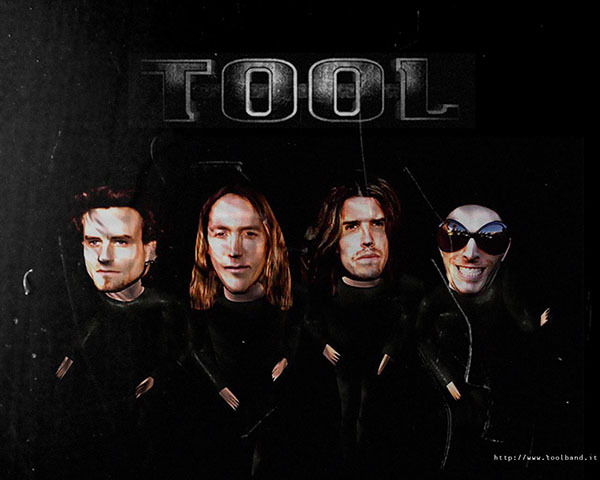 In 2001 the vacation was over and Tool were back in classic line-up formation for the compilation Salival (2001), a 38 US charter that was followed by Lateralus (2001), a 16 UK/1 US maker and the disc that Kerrang! called the "greatest recording ever made". Perhaps it may not be the greatest but "impressive" wouldn't be unfair. It was a complicated piece of work of shifting textures, mood changes, and inscrutable lyrics. The may have most likely set the mold for their future recording of 10,000 Days (2006). 10,000 Days sold 564,000 copies in its opening week in the U.S. and was number one on the Billboard 200 charts. Although another album has been planned a set of delays has seen the platter yet to surface as of 2017. The band has thus far released eight music videos but are personally seen in only the first two, which the band believes is to prevent people from "latching onto the personalities involved rather than listening to the music." With the exception of Hush and Vicarious all of their videos featured stop motion animation and were created primarily by Jones, often in collaboration with artists such as Chet Zar, Alex Grey, and Osseus Labyrint. It was the video for Sober that attracted the bulk of the attention. Jones explained that it does not contain a story-line, but that his intentions were to summon personal emotions with its imagery. Rolling Stone and called it a "groundbreaking", "epic" clip, while Billboard voted it "Best Video by a New Artist".